A police officer’s job is to maintain peace and order in a community, enforce and uphold its laws, and protect citizens and property. They are charged with the protecting of citizens and apprehending those who break the law.What Do Police Officers Do? Police officers are part of the larger law enforcement system; they are the first line of defense in protecting the communities in which they work. The life of a police officer is demanding and can be challenging because they are required to carry out a large number of different tasks. Although the job comes with a certain amount of risk and can be quite difficult, a career as a law enforcement official can also be very rewarding. Because police officers play such a vital role in protecting people and their cities, they are often very highly respected. There is a certain sense of pride and accomplishment that accompanies a job with such responsibilities. It also allows you to contribute in a real and tangible way to the protection of your community. Safety is an important consideration for everyone. As a police officer, you can do your bit to ensure your family, friends, loved ones, and fellow community members are safe from potential harm. The job also comes with a number of benefits: police officers get paid leaves, early retirement opportunities, and uniform allowances. When applying, candidates must be at least 20 years old, and at the time of appointment, they must be at least 21 years old. There is no maximum or cut-off age limit for the age at which a candidate may apply. Becoming a police officer is a process, and as such, may take a while. Attending the training academy in and of it takes about 6 months, and may take longer depending on whether you need to take more courses. Then, you may be required to get on the field training by a senior cop. Factor in all the time that it takes for submitting an application, all the tests associated with the applications, and the consideration process and you may be looking at anywhere between 9-12 months from the date of applying. Polygraph Test In order to access how truthful you are and determine other characteristics you possess, you will be required to submit to a polygraph test. This is done by asking you a series of questions about information you have provided. Medical Examination Tests will be conducted on your cardiovascular and respiratory systems to determine the state of your overall health. Good eye sight and hearing are absolutely essential. Candidates cannot be colorblind nor have uncorrectable visual acuity of 20/20. Psychological Examination A career as a police officer has a significant amount of stresses. Because of the nature of the job, the mental wellbeing, personality traits, temperament and emotional control of candidates must be assessed.This is helpful in determining well an individual can be predicted to cope with stress and perform the tasks required of a police officer. 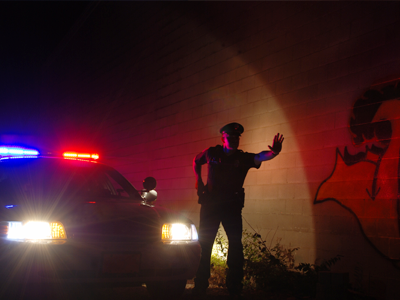 All candidates must successfully pass this test in order to become a certified police officer. The U.S Bureau of Labor Statistics reports that the rate of employment growth in this field is relatively lower than average at a rate of 5% between 2012 and 2022. However, police officers are always in demand to maintain public order and safety. Police officers are public servants who are members of the much larger system of law enforcement; a system whose primary purpose is to maintain civil order and peace in society. To become a police officer, there are a number of requirements that you must satisfy, as well as selections tests and training. This process can prove to be quite long and trying. However, if you are seriously committed to becoming a police officer in Ohio, the information provided here is intended to help you in your efforts to pursue this career. Q: If I want to become a police officer in Ohio, how long does the process typically take? Ans: Becoming a police officer takes time and there is a lengthy process involved. After you apply to a specific police department, you’ll need to wait until your application is processed. If successful, you’ll be required to write a civil service test and pass a series of selection examinations. If all of these are cleared, you’ll begin training at the academy which takes a minimum of 6 months, followed by field training with a senior officer. Therefore, you could be looking at anywhere between 9-12 months. Q: What are some of the selection examinations that a candidate needs to pass in order to become a police officer? Ans: Once a candidate submits their application, the selection process begins, and part of that process includes a variety of examinations. These include a background check, a polygraph test, a medical examination, and a psychological examination. Each of these tests is very important and allows prospective employers to gauge you and your personality and characteristics. They can then accordingly make a decision about whether or not you are suited for a job in law enforcement.